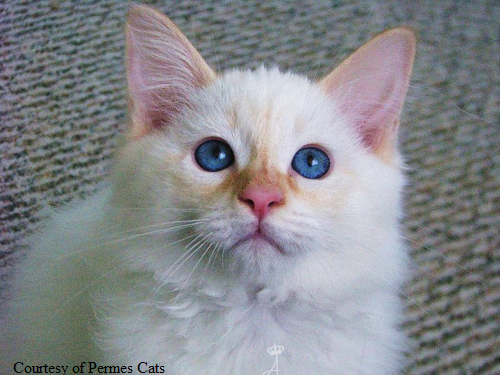 Hermes is a very rare Red point Balinese male that comes to us from our breeder friend and mentor Louis Azcarate from Permes Cats, in Washington State. 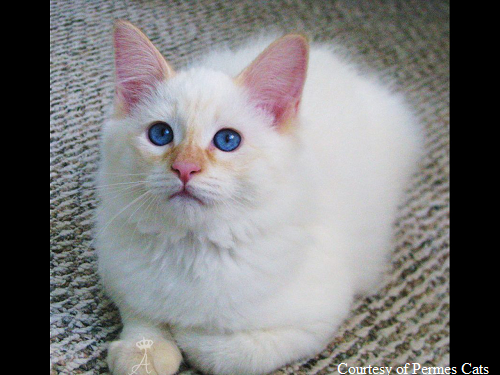 Not only is Hermes one of a kind, but he is a true gem and representation of what a Red point Balinese cat should be like. His personality is superb, with puppy dog like traits and demeanor. 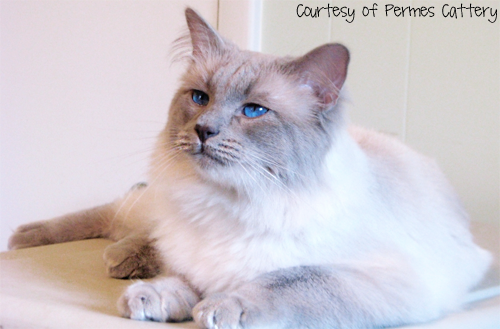 He yearns constant affection and loves to be held in our arms, a true puppy dog like cat. 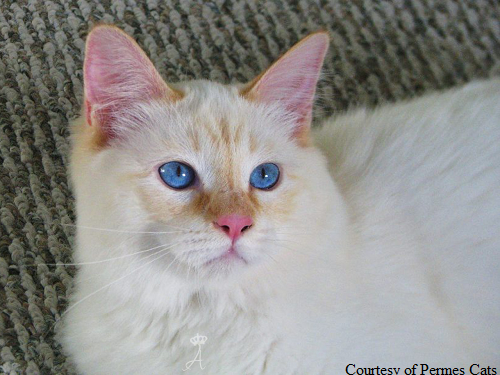 His fully developed Red-Orange points, Balinese quality silky hair, and expressive face truly represents the Balinese cat breed in this rare and beautiful color variation. 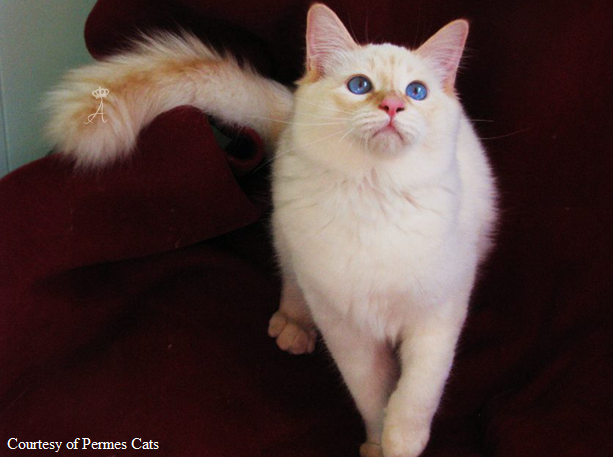 Red pointed Balinese cats have become a rarity to see in many breeding programs in the U.S. and abroad. 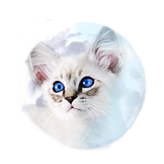 Due to the limited breeding lines for this color variety and its more thorough breeding practices (a cat with the O gene is always needed), it has become more of a fantasy rather than a reality. 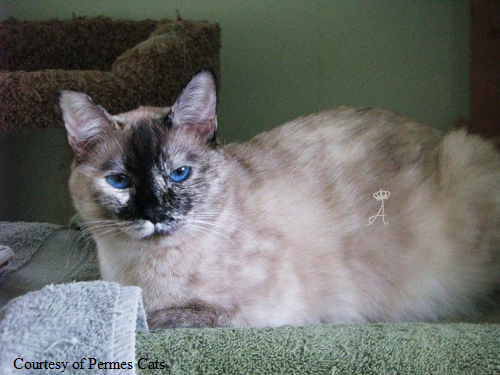 Hermes will be a very important foundation for our Old-Style Red pointed Balinese breeding lines which are one of a kind here in the U.S. 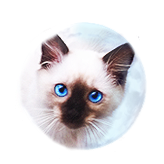 He will sire our current and future Red pointed kitten litters with our female outcrosses that took us quite a while to produce and acquire. 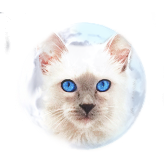 Please stay tuned to Hermes and our Red pointed Balinese cat division of our breeding program. 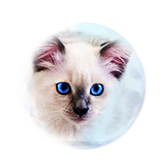 Thank you for the support of the Balinese cat breed and our cats! 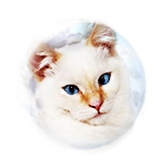 Update: Hermes was retired due to some changes in our Red point breeding program, and in our need to have an outcrossed unrelated Red point male to breed to the outcrosses he produced. Hermes was a great sire and will be missed very much, his legacy continues in the offspring he produced.